Offering you a complete range of products Cooling Tower Sprinkler Assembly such as Sprinkler, Sprinkler Pipe, Elimentor, Tension bar and Turn buckle for Cooling Tower. 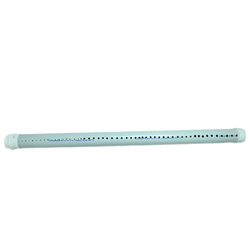 Sprinkler Pipe for Cooling Tower offered comes in quality construction finish and can be made available in the choice of different finish sizes as well as color options to pick from. We can deliver these pipes in both ABS and aluminum material finish in size options of 1.5" to 12" as well as in water outlet choices of 4pcs or 6pcs. Some of its features include working diameters of 75mm to 140mm; length options from 1 meter to 6 meters; providing for the quality finish and reliable usage. 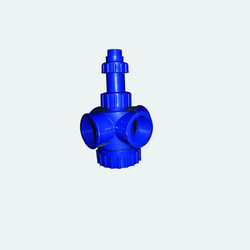 Banking on our enriched industry experience, we are engaged in offering a huge gamut ofWater Sprinklers.This high grade Sprinkleroffered by us are extensively used across different industrial sectors. We take into account the variegated needs of our international clients and offer suitable range of Sprinkler. We manufacture these high quality Sprinklers by making use of premium grade quality raw materials that are procured form reliable vendors of the industry. Looking for Cooling Tower Sprinkler Assembly ?